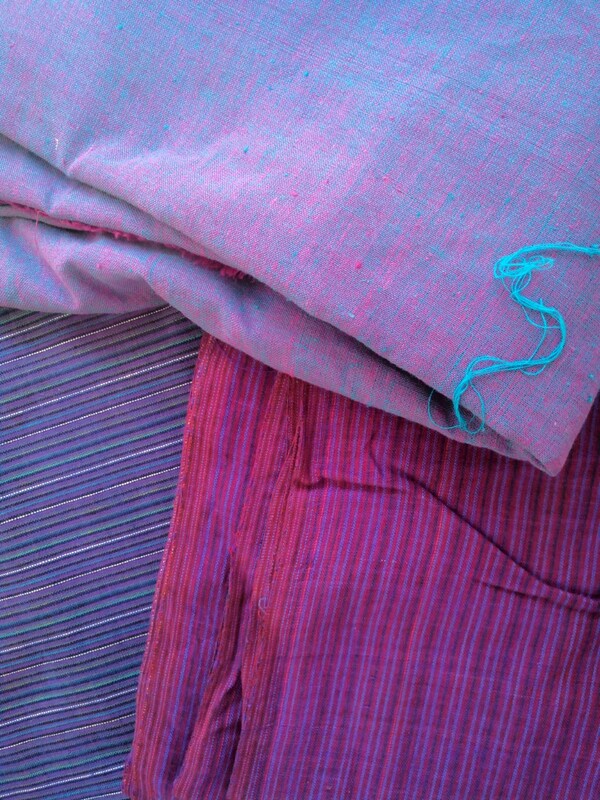 Handloom weavers and hand-dyed fabrics are a good buy anytime. I feel good that those who work hard to keep our Indian fabrics alive are getting a good price for it. I instantly became fida on their prices too. Sarees were ranged between Rs950 and Rs1,600 and while yardage — pure cotton and natural dyed ones — ranged from Rs120 to Rs250! The exhibition had a wide variety of yardage, sarees, dupattas and stoles from Andhra region. 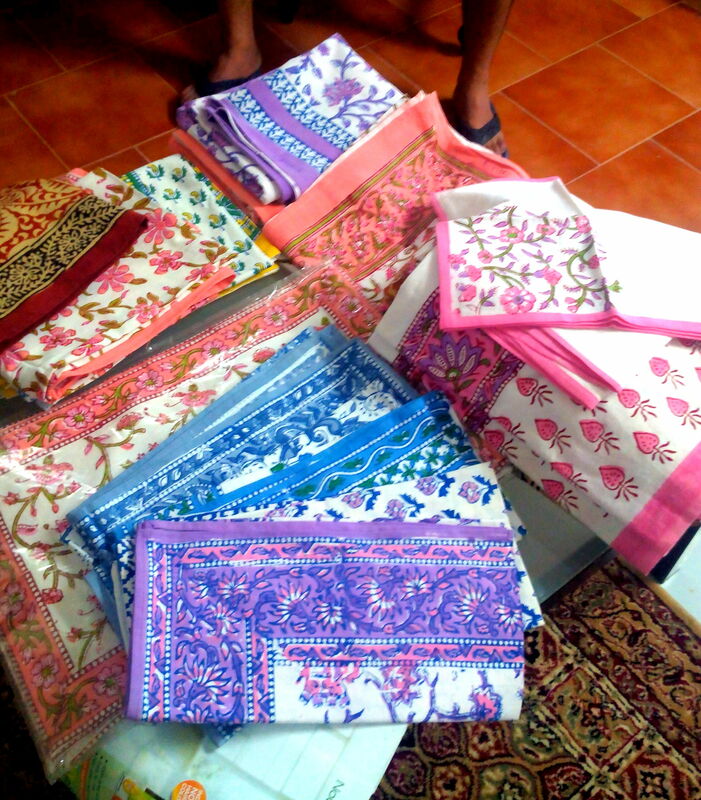 Fabrics like kalamkari, simple plain cotton, and khadi cotton were available. 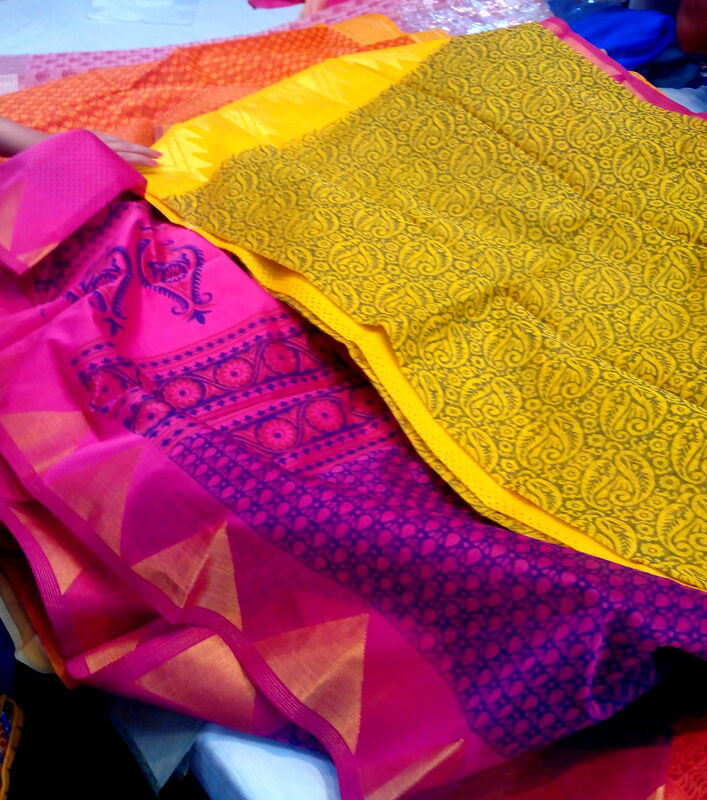 I bought four sarees for just Rs4,500. I have bought it for gifting, but I have my eye on them, so maybe they would end up becoming a part of my closet only! The weekend around Christmas Eve, I had the opportunity of visiting Bhimthadi Jatra (the rural fair) of Maharashtra in Pune. Some pictures from that fair, where I shopped for Khunn bags, Konkani and Malwani masale, and enjoyed some amazing rural dishes. Devprayag, where Ganga gets its name. The clouds came out and the chill returned to the air! I secretly thanked all the Devs of Dev Bhoomi who seemed to have listened to my silent prayers. Yeah yeah, how selfish of me to wish for a cloudy-chilly day in April when most of Uttarakhand had just had a break from almost 6 months of winter. It just happened that we had taken a short trip to Devprayag on one of the busiest weekends of 2015 and we were already cursing ourselves for carrying woollens. So a nip in the air that Saturday morning was a welcome relief! The journey from Dehradun to Devprayag was a hot one (it had to be, we were wearing heavy jackets) but my husband’s smartphone had this app which said it is going to rain the entire weekend in Devprayag. But it was sunny and hot and sticky and we had no light clothes to last us for another two days. 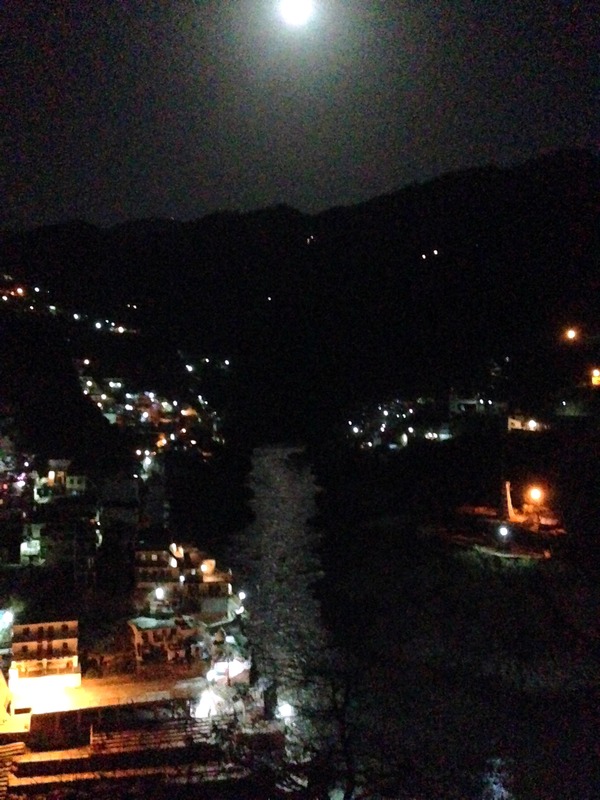 The final product — Ganga, as seen from our hotel balcony. Hell we had even packed a rain-poncho and two umbrellas in our tiny backpack. We left Dehradun early on Day1 to reach Devprayag in time for breakfast. We had to first get to Rishikesh from where the road to Shivpuri (NH58) would take us further ahead to Devprayag. We also did not want to get in the way of the rafting-camping tourists from Delhi and Chandigarh. But we did get stuck for a while in Rishikesh — good thing we were on a bike, it lets you violate traffic rules like no other vehicle allows. Devprayag is about 70 kilometres from Rishikesh, into the Shivalik hills, and is a pretty busy town when the pilgrimage season starts. The rush hadn’t started yet, so it was very peaceful there. 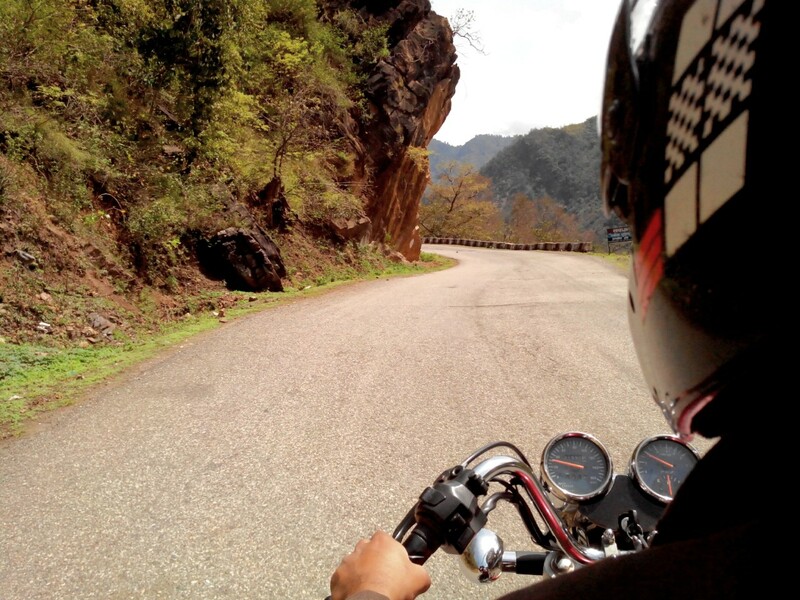 What is the big deal about Devprayag you say? 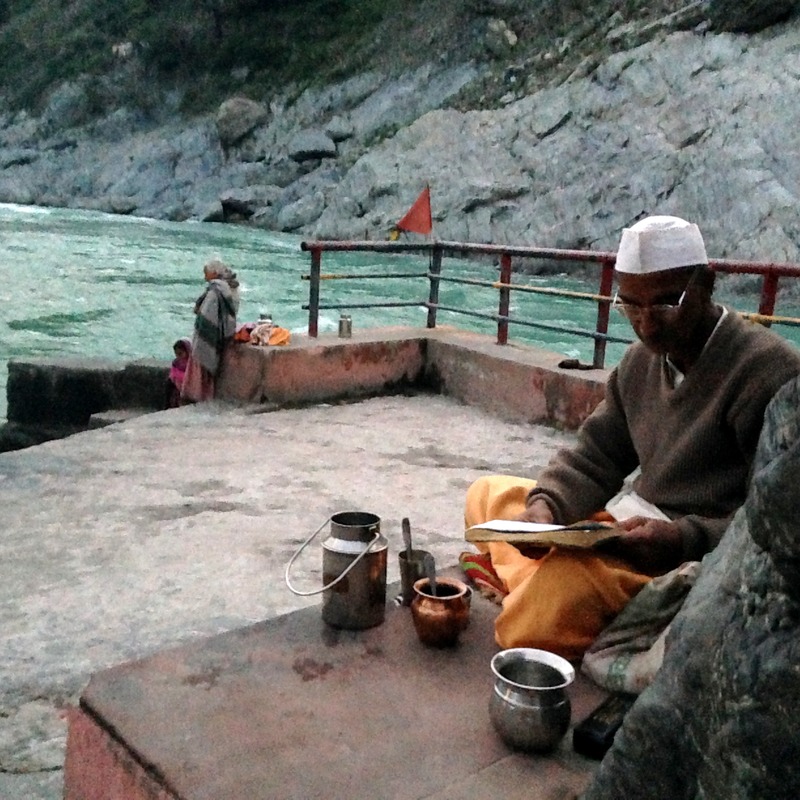 This is where Ganga gets its name… No, that river originating near Gangotri is not Ganga. That is Bhagirathi, which people say is another name for Ganga. At Devprayag, Bhagirathi confluences with another noisy Himalayan river Alakananda, and the resulting river is called Ganga. 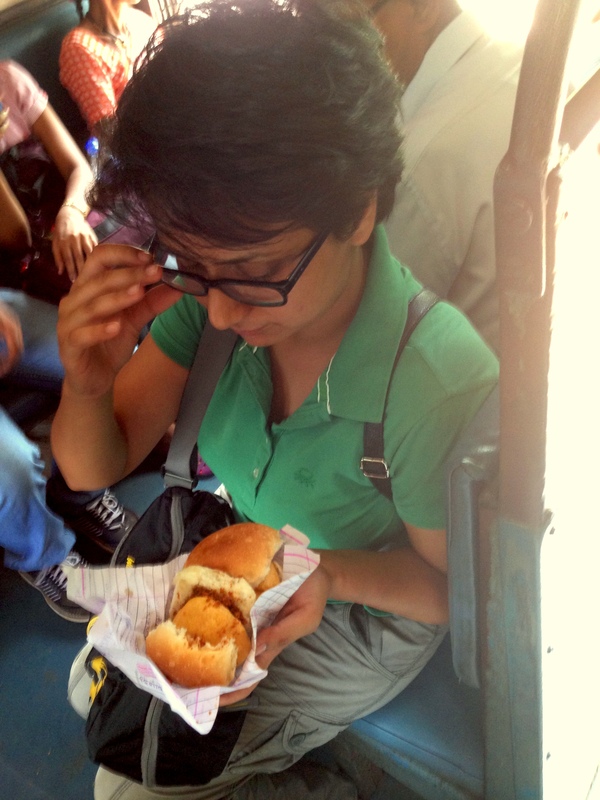 This was a spur-of-the-moment trip, so we had made no hotel reservations, thinking, “wahan jaake dekhi jayegi”. From the distance, we saw Ramkund Resorts that looked really expensive but had a killer view of the Sangam. And viola! We got a pretty good deal for having arrived there in the off-season time! So we checked in and I kid you not, the Sangam (the confluence) was at stone throw distance from our balcony. Here’s the thing about this Sangam, the colour of the two rivers is quite different. Infact you can make out this difference for a good 500-600 metres after the meeting point of the two rivers. 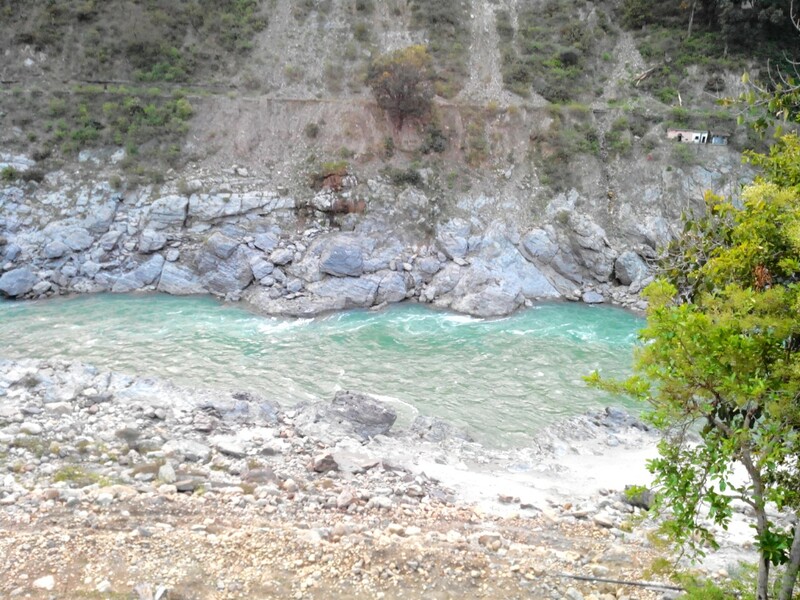 Bhagirathi is kind of green-blue in colour and quite energetic. Alakananda was a little muddy and seemed to have calmed down a bit. The Bhagirathi-side of the Sangam. Another interesting thing about these rivers is that the five tributaries of Ganga meet Alakananda at various other Prayags (Vishnuprayag, Karnaprayag, Nandaprayag and Rudraprayag) before meeting Bhagirathi here. So technically, Alaknanda should be called the source river of Ganga right? But it is infact a much smaller river Bhagirathi that gets all the credit! That’s now fair isn’t it, but I’ll leave the rivers to sort it out among themselves. 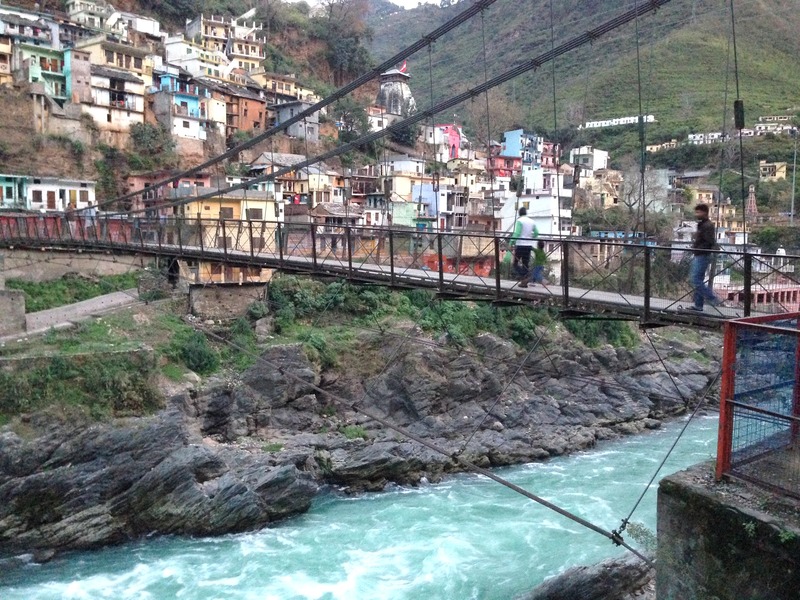 Devprayag is a tiny town, with narrow lanes that go up and down. It is impossible to get your bike inside those lanes (no, we didn’t even try). 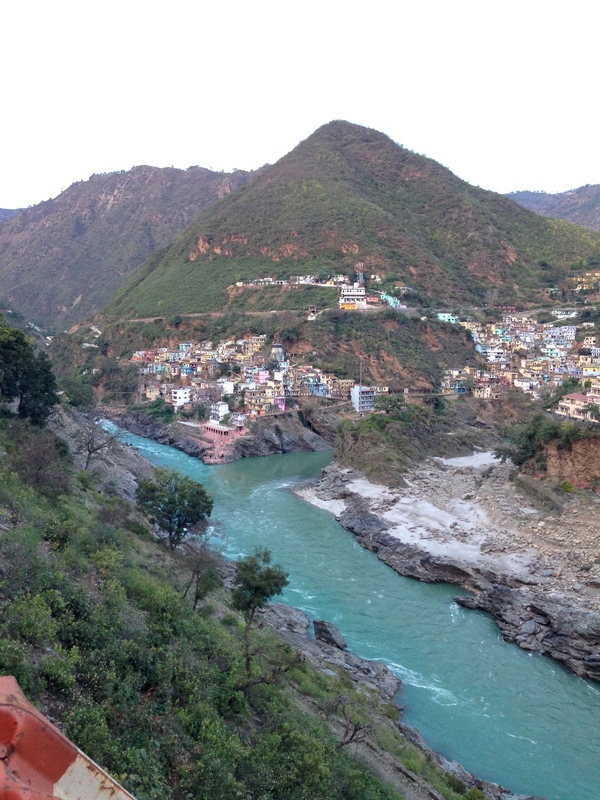 In the evening, we went for a stroll and covered all three hills on which Devprayag is spread out. I saw people walking up small paths that led to their houses (probably) that were located even higher up the hills! No wonder I did not find a single obese person there 🙂 . At the confluence of Bhagirathi and Alakananda. At the Sangam, I went down to the ghats while my husband went out in search of an ATM. Apparently, ATMs there close by 7pm…funny how we have all become used to 24×7 ATMs. At the ghats, I saw a couple of sadhus in meditating pose, among them a young lad trying to meditate but still ogling at all the women who passed by! Talk about 100% focus. Oh and what fun we had gorging on lip-smacking food from the local dhabas! 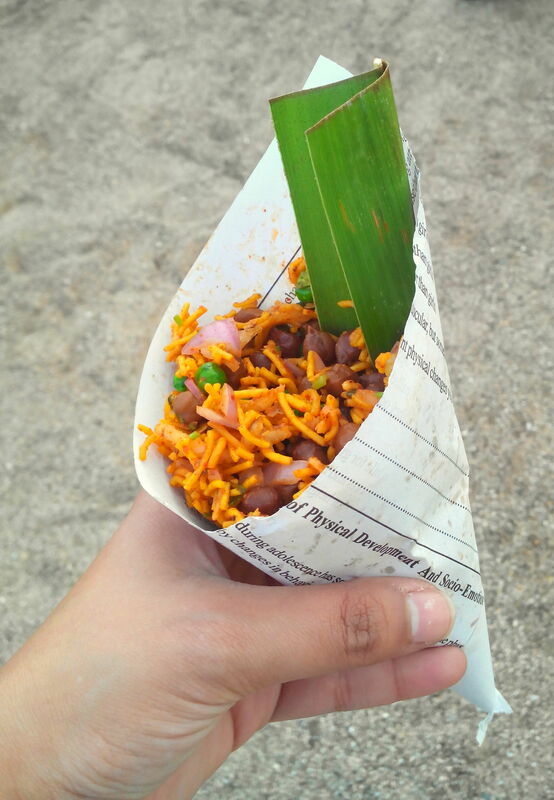 Aloo parantha, curry made of spring onion masala and the latest pahadi fast-food — Maggi! Of course on the second day I ended up with a terrible feeling in my stomach, but it was still worth it. So having utilised the woolens as well, we left Devprayag on Sunday morning to return to Dehradun. It took us four hours to reach back home. On the way I saw numerous camps on the white sand beaches on the banks of Ganga. It indeed looked like a busy day for all the adventure sports outfit in Rishikesh. We squeezed past almost 4km of traffic jam near Rishikesh’s Laxman Jhula and reach home in the evening, completely fresh and energetic. Bring it on, we fear you not Monday morning blues! On full moon night! Wish I had taken my camera along. This photo was taken with an iPhone. White sand, clear sky and pristine water! That’s Jolly Buoy Island for you. 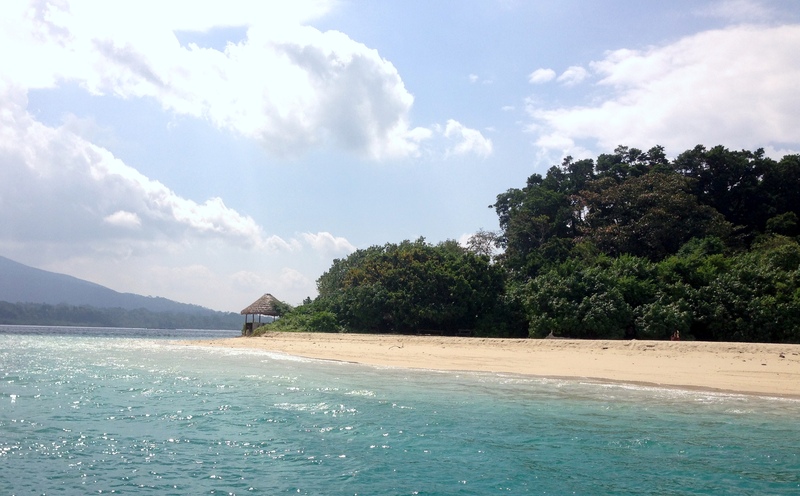 Andaman and Nicobar Islands, an archipelago in the Bay of Bengal has been on my “must visit” list for a long time. But recently, when I checked out pictures on social network of friends who visited that place, I grew a little sceptical. 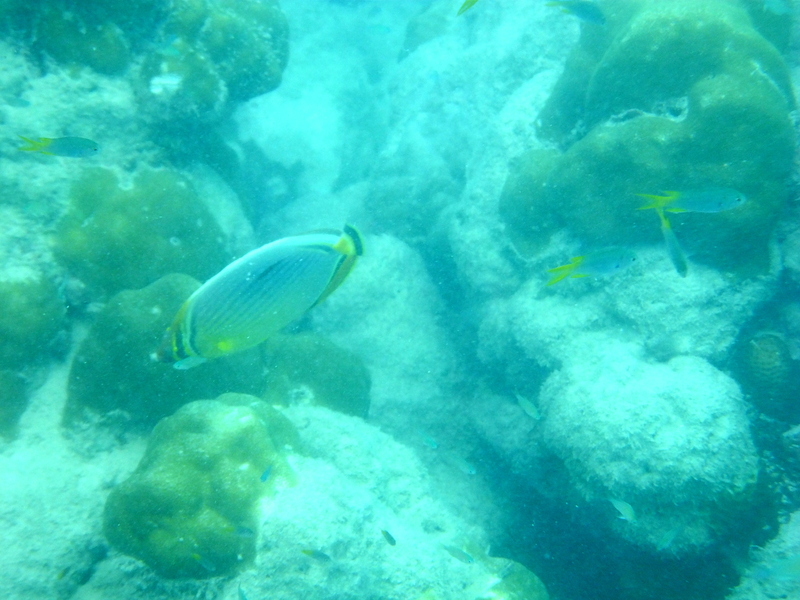 The beautiful marine life full of corals and colourful fish. Wish I had a better picture! It looked quite similar to Goa. 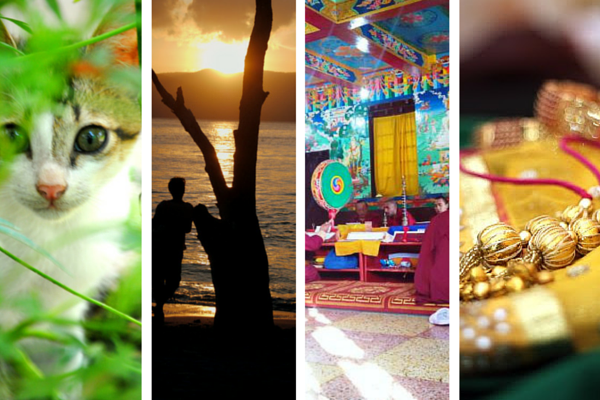 Beaches and more beaches and … err nothing else. And then my husband went on to book a 10-day holiday in the Isles. 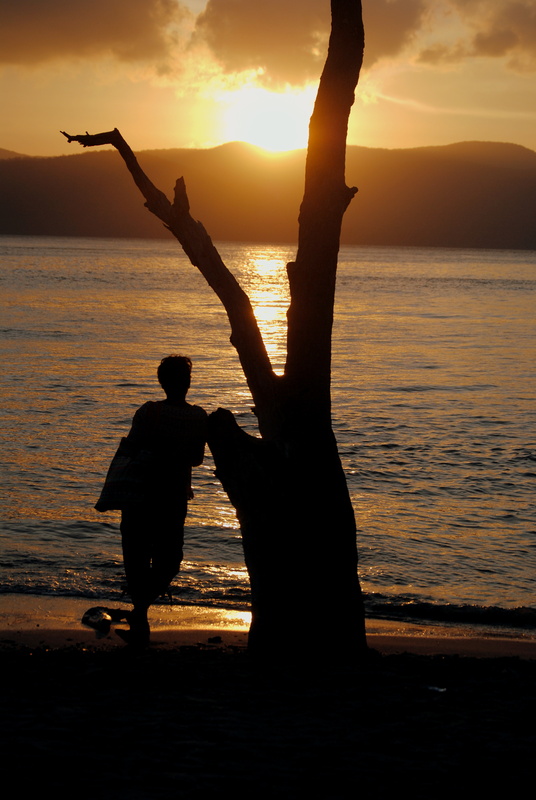 I am so glad he did, because we got a chance to explore Andamans the way none of our friends have. This Union Territory is a natural paradise, relatively untouched and breath-taking beautiful. A 3-4 day trip to the Isles is useless in my opinion. If you are gonna cross the Bay of Bengal to come all the way here, then you might as well stay for a minimum of 7 days…10 would be ideal. We stayed there for 10 days and thanks to an awesome guide, we had a very enriching experience of life on the island. 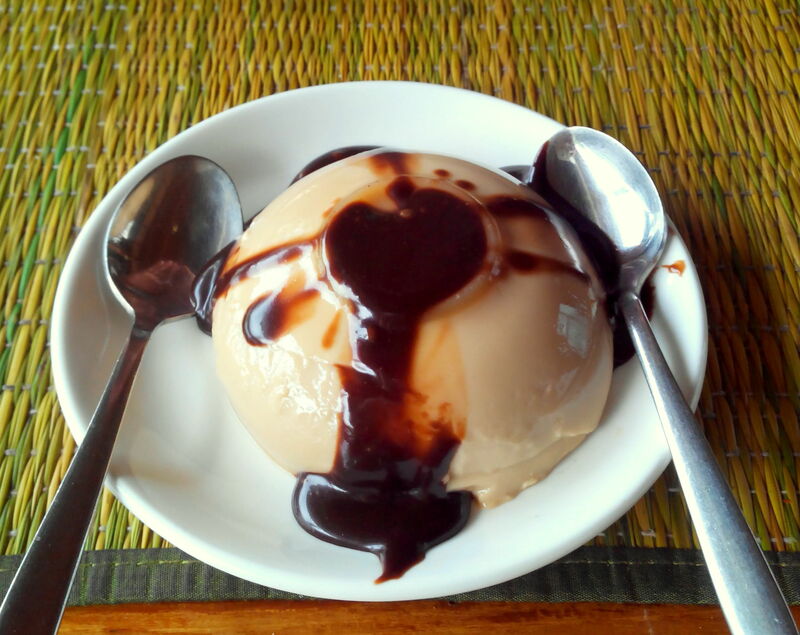 Just spending a couple of laid-back days in Havelock Islands is just not enough. The beaches there are stunning and incomparable. But that is not all this place has to offer. Get comfortable with the forests and various islands there. Each has a speciality, go explore that. The marine life is fantastic, but you need to see its beauty thoroughly in order to appreciate it. If you’ve done scuba diving at one spot, don’t think of yourself as a tees-mar-khan. Go for the cheaper option of snorkelling at every place where it is done, as every island has a different underwater charm. Get a taste of the life here, eat the local seafood, travel in the ferries, indulge in some serious island hopping, explore the jungles, visit the museums (you heard me) to know more about the tribal since no one is allowed to meet them in person. It took me 10 days to realise that tourists rarely have to worry about their stuff going missing from public places, even if you leave it unattended for sometime. Imagine the same situation in the mainland– specially in bigger cities, where the unattended bag would either get stolen, or trigger a bomb scare. 1. Carry sunblock, loads of it. 2. You can hire a two wheeler (Motorcycle or Activa) in Port Blair for Rs1000 per day and in Havelock for Rs 350 per day. Bicycles are available for Rs200 per day. Negotiate during off-season. 3. In Havelock, try to arrange for accommodation in beach facing resorts, preferably on Beach No.5. 4. Motion-sickness and sea sickness can come as a rude shock for many. Carry medicines. 5. 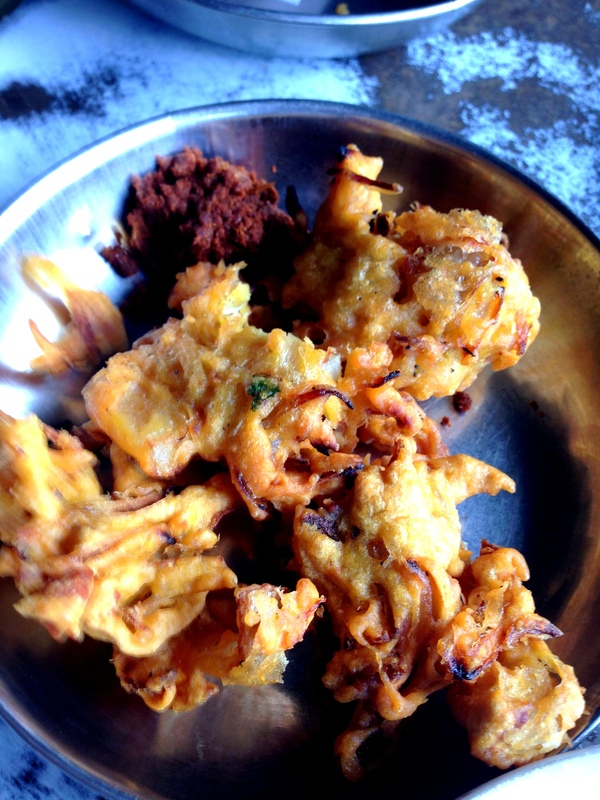 Enjoy the seafood, and the road-side dhabas will serve you the yummiest fish fry. 6. It is a very safe place for women. So do not hesitate in roaming around in shorts or noodle-straps, even if you are not on the beach. It can get hot, so wear loose and comfortable clothing. 7. I saw some women wear heels on trips where you are required to walk a lot in the wild. Seriously! You couldn’t find any flats or floaters? 8. Carry lots of photocopies of you photo ids. You will need to furnish those at booking counters of ferries and some check posts. 9. Confirm your ferry bookings at least a day in advance to check up on cancellation or change of time. 10. Sun sets early here (compared to rest of India) and shops shut early. So plan your day accordingly. Rajasthan has such a wide and vibrant collection of textile designs and fabrics that is sure to leave a person bankrupt if his wife is left alone to shop! Too bad my husband didn’t realise that. On a recent trip to Bikaner, I was accompanied by two friends on a shopping trip where our sole aim was to get some exquisite sarees, bed sheets and table covers. It took us three entire days to properly scan the old market area of the city and shop to our heart’s fill. 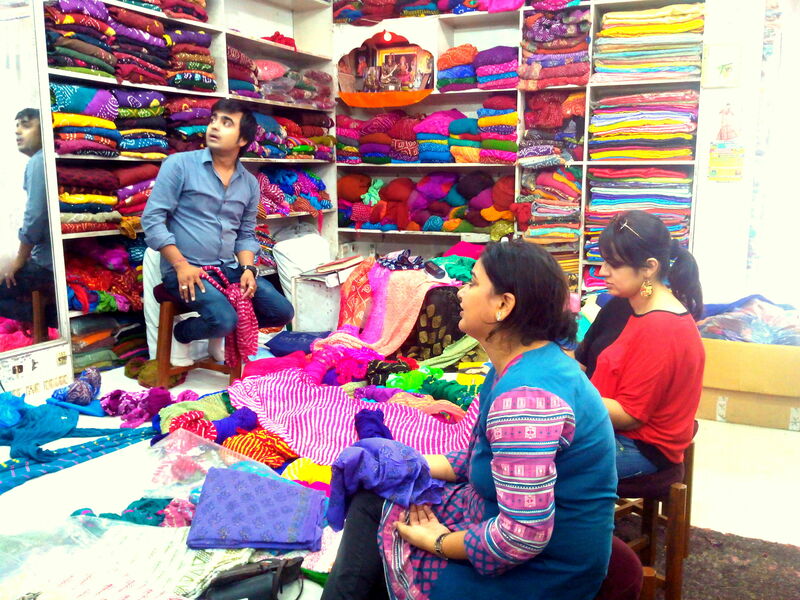 In sharp contrast to Rajasthan’s colourless topography, the fabric here is extremely vibrant and colourful. Craftsmen put in a lot of effort to get the designs and motifs onto the fabric and their hard work is evident in their product’s popularity. Sanganeri fabric is the most common form of block printed cotton fabric in which wooden blocks are used to create some stunning motifs. Sanganeri prints on bed sheets and table covers are my personal favourite, though I would rarely let go of an opportunity to buy a Sanganeri saree. I tried to calm him down, but I have a suspicion that from thereon, he was reluctantly showing me sarees, probably imagining me as a saree-slaughterer. There we are, bringing every item off the shelf. Now that we are talking about sarees, how can I not mention Bandhej and Leheriya? These sarees, mostly on chiffon, are a big hit among women, right from a humble village woman to the aristocratic royals. Kota-doriya and supernet sarees also has a rich look and the best part is that they are quite pocket friendly. 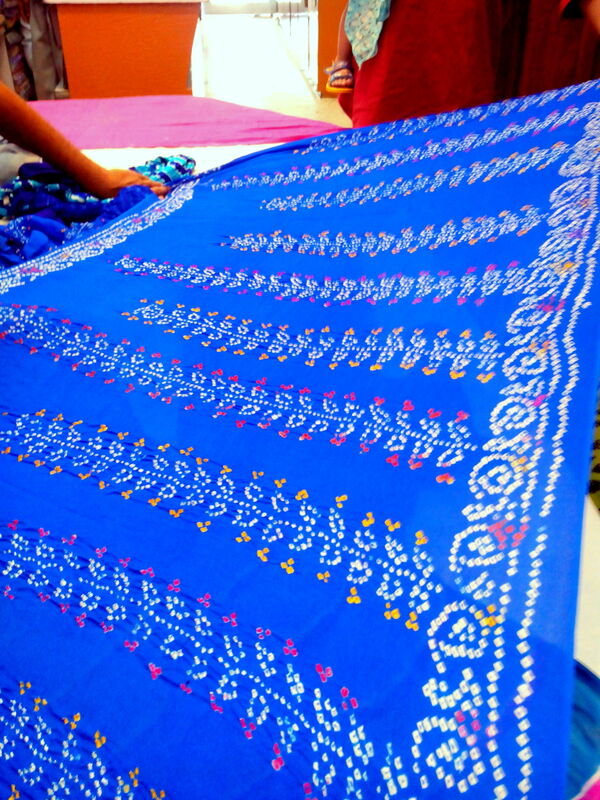 Where a chiffon Leheriya or Bandhej saree costs about Rs3000 (or Rs500 for synthetic machine printed ones), Kota-doriya or Supernet sarees’ cost starts from Rs1000 and goes up depending on the design and zari work on the border. If you feel Sanganeri bed sheets are beautiful, then wait till you hear its price — trust me you will fall in love with the pricetag as well! Shelling out just Rs500 for a bed sheet-pillow cover set does not pinch the pocket at all! Have a look at these sarees and fabrics which I have posted below. The shopkeepers at Laxmi Sarees and Deepak Textiles in Bikaner were kind enough to let me click pics while we were all haggling for prices (women will be women). 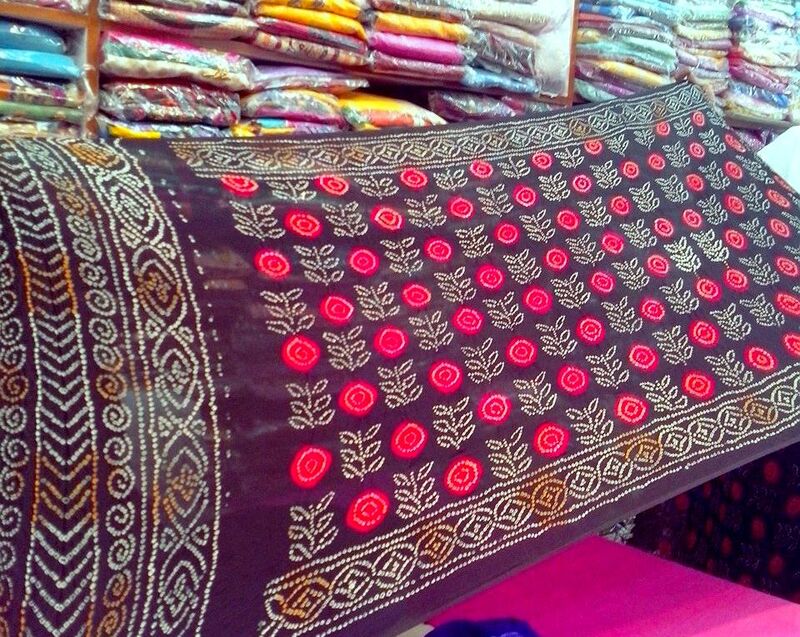 Black Bandhej Saree, a rare colour in Rajasthan. Electric blue Bandhej Saree with a unique design. Sanganeri printed table covers and bed sheets. These items usually come in a white-base fabric, but you can get it in pastel colours if you are lucky. 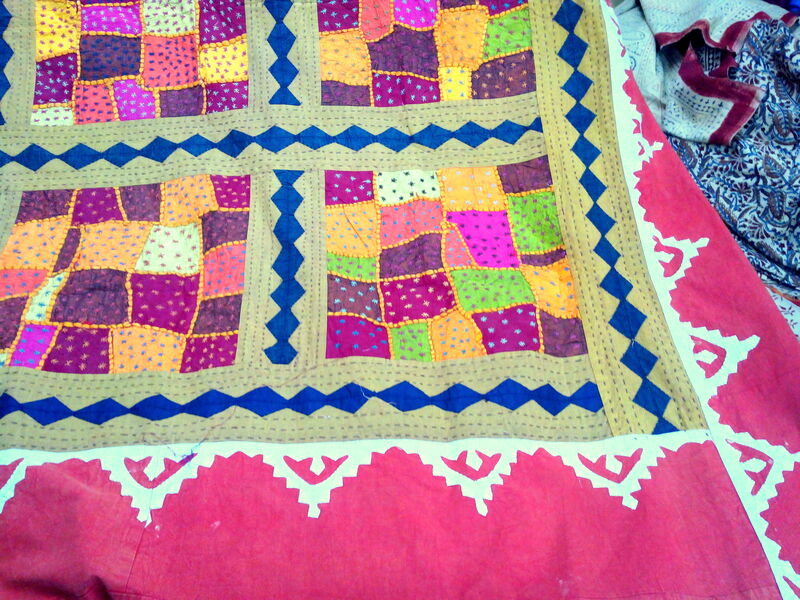 A typical Indian patch-work bed cover which is made in Rajasthan. Many regions of India are known for its cotton weavers and high quality cotton made by them, and I was thrilled to be able to visit one such place. On a recent trip to Bikaner in Rajasthan, I was told that a place called Lunkaransar, about an hour away on National Highway 15, supplys to some of my favourite clothing brands like FabIndia. So it wasn’t long before my husband and I were on our way to Lunkaransar. A bit of research on the internet told me that weavers in Lunkaransar are promoted by Umrul and Vasundhara Grahmothan Samiti and it has been decades since weaving has become a source of additional income in this draught-hit area. Cotton yardage I picked up form Lunkaransar. So on National Highway 15, at the end of the salt lake and about 2 kms short of the Railway station, they have a tiny shop in front of a petrol pump and sell handmade cotton fabric, garments and embroidaried bags made by weavers of Lunkaransar. I saw the cotton yardage which they sell there which is of top quality (I can totally visualise them as kurtas in FabIndia or Anokhi) and was available for Rs120 per metre. I bought a lot of stuff and my total bill was just Rs 1000 (me happy, husband super happy). I felt very good that weavers of this town would get a majority of what I spent today, especially when they really don’t get a fair price when their products are bought by multinational companies. Two days later, Dastkar’s Facebook page had a piece of news about Lunkaransar’s weavers attending an entrepreneur’s workshop which taught them essential business skills. That is indeed a great step. They could start with advertising about their Lunkaransar outlet in a better way — no need to spend a lot of money on it as all they would need to o is make a visually appealing Facebook page. 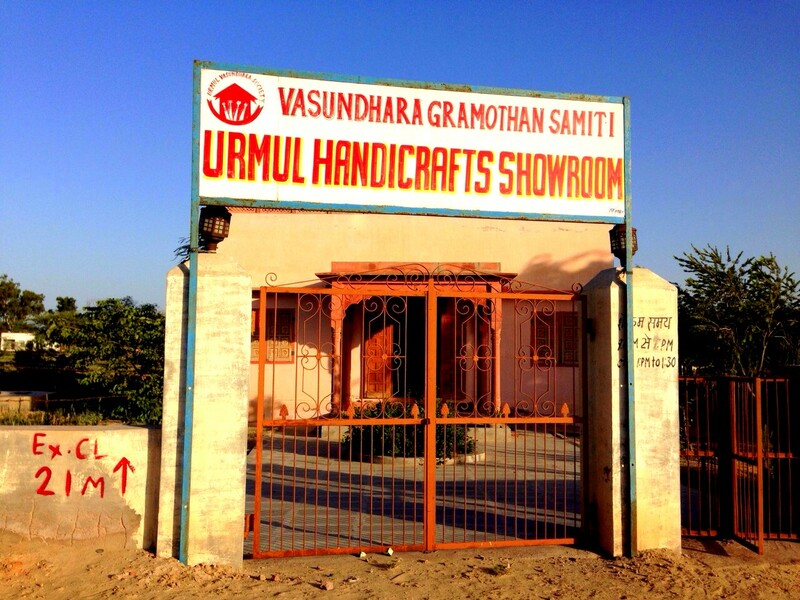 They should choose a catchy name first as there is a lot of confusion among the tourists and outstation customers about this… is it Urmul or is it Vasundhara Gramhmothan Samiti? Tags on readymade garments say Urmul, but the sign board of their outlet says the latter in bold letters. Also, they need to go beyond simply making kurtas and tops. Experimenting with other designs might bring out amazing results, like palazzo pants, skirts, light jackets or even long designer dresses with some fancy embroidery. So there, that’s all a user like me can think of at the moment. I leave the rest to professionals. We had his stories in our English textbooks in school, we have seen his stories being made into movies (Saat Khoon Maaf) and we every now and then, we see a new book written by him being released. 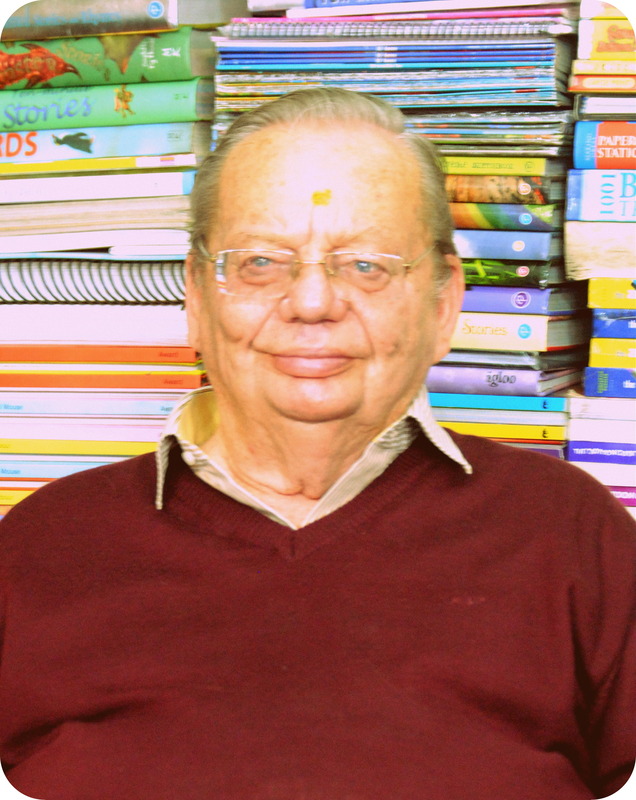 Ruskin Bond, the legendary author who is loved by children (and grownups too :)) for his simple and heart-warming books, lives in the most crowded hill station Mussoorie. Visiting any place which has been maligned by commercialisation and is always crowded with tourists is not something I like doing. But Mussoorie is different, simply because this adorable old man lives here. Every Saturday he patiently signs books and poses for photographs with many avid followers at the Cambridge Book Depot on Mall Road. I went there twice, once with my sister and nephew, and another time with my friend (who visited me in Dehradun just so that she can meet Mr Bond). That time, the store was crowded and I could barely get my copy of Maharani signed by him without falling on the stacks of books there. And the next time I met him, I wanted to know if he was reading any book at the moment. He seemed a little taken aback, “Reading…. or writing?” the 80-year-old author wanted to clarify. I said reading. “Oh nothing at the moment. Last week I was reading the biography of Somerset Maugham. I like his books a lot, but after reading his biography, I don’t like this fellow anymore,” he added with a chuckle. 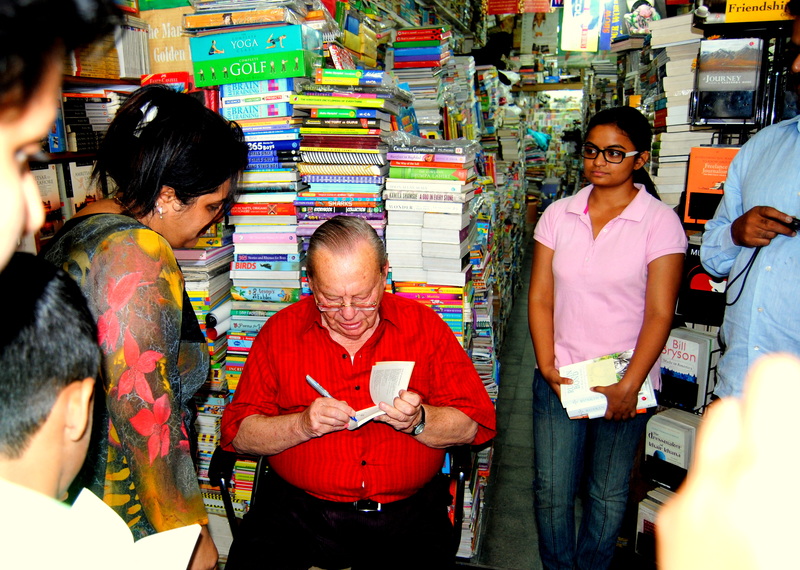 If you want to meet Ruskin Bond, drop by on any Saturday between 3pm and 5pm at the Cambridge Book Depot on Mall road. Nearest landmarks are Kalsang restaurant and Nirula’s Fast Food. If you want to check with the bookstore if Mr Bond is in town, then call up on 0135- 2632224 or 9837258801 and owner of the bookstore would happily let you know about Mr Bond’s availability that week.